What is ‘Pride and Prejudice and Zombies’ All About? I have to admit that I wasn’t holding out much hope for the big-screen adaptation of Pride and Prejudice and Zombies — the mashup of Jane Austen and the undead. It felt like a late-comer compared to 2012’s Abraham Lincoln: Vampire Hunter. But the more I learn about the project, the more hopeful I’m becoming. The first thing that piqued my interest was the casting of former 11th Doctor Matt Smith — not that his movie career has been exactly stellar so far *coughTerminator:Genysiscough* — but of course he has the look and accent for the period drama. 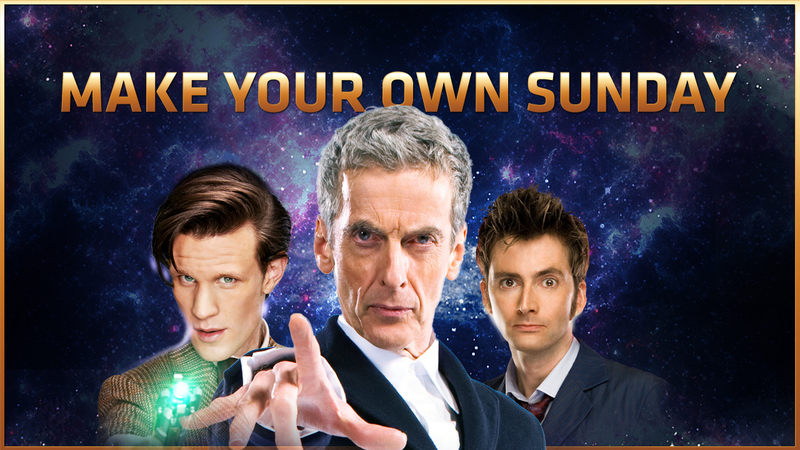 DOCTOR WHO: Make Your Own Sunday! BBC America, the U.S. home of DOCTOR WHO, wants to know which episodes we fans think portray the Doctor in the most heroic light, so the network is inviting viewers to vote for the episodes to be included in an all-day marathon on Sept. 20 — the day after the premiere of series six. Fans will get to choose from every story involving the latest incarnations of the Doctor: David Tennant‘s 10th Doctor, Matt Smith‘s 11th Doctor and Peter Capaldi‘s 12th. 1. Select a single episode from each poll on this page (one per Doctor) and cast your votes. The poll will stay open through Sept. 11 at noon EST. 2. Tune in to the DOCTOR WHO marathon all day Sunday to see which episodes made the cut. DOCTOR WHO returns Sept. 19 at 9 p.m. on BBC America. It’s an Early Christmas for DOCTOR WHO fans! 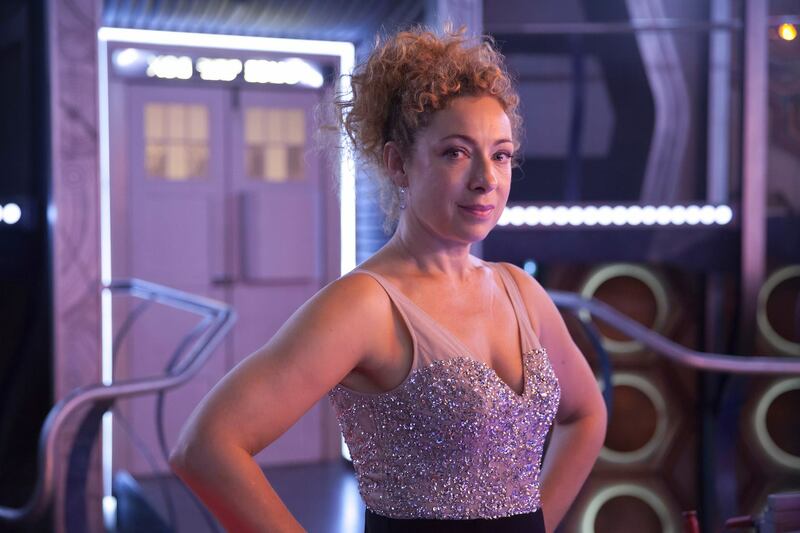 It’s barely September, and DOCTOR WHO isn’t even back on TV yet, but the makers of the series are working on this year’s Christmas Special harder than Santa’s elves worried about North Pole layoffs, and that means there’s BIG holiday news — chief among the announcements: Alex Kingston will reprise her role as the Doctor’s late wife, Prof. River Song! Of course, this will be her first time interacting with Peter Capaldi‘s 12th Doctor, and his grumpy demeanor promises a much different dynamic that her previous encounters with the 11th (Matt Smith) and 10th (David Tennant) Doctors! But never fear — the story was written by lead writer/executive producer Steven Moffat, so he’s sure to keep things light-hearted and fast-paced. Now, if we can only figure out how she will appear! 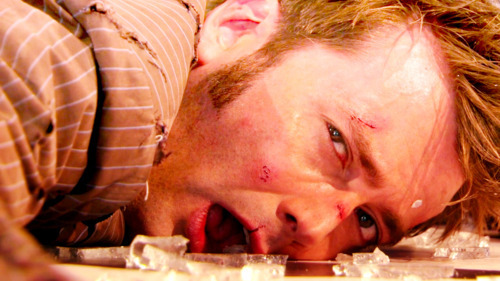 A small thing like death never stopped River Song — heck, she died in her very first story! And she hasn’t slowed a step since then. So much bad news these last few weeks — and especially the last few days. Let’s take a moment to smile and laugh with Liam Neeson and Matt Smith. James Corden — whom many DOCTOR WHO fans will recognize as Craig Owens from “The Lodger” and “Closing Time” — has been named Craig Ferguson‘s replacement as host of THE LATE LATE SHOW on CBS. Ferguson is leaving the program in late December, and Corden will take over in 2015. I can’t describe how thrilled and honored I am to be taking over from the brilliant Craig Ferguson. To be asked to host such a prestigious show on America’s No. 1 network is hugely exciting. I can’t wait to get started, and will do my very best to make a show America will enjoy. Just a few short hours away from the season eight premiere of DOCTOR WHO and executive producer Steven Moffat‘s introduction of Peter Capaldi as the 12th Doctor, I thought it might be fun to look back the abandoned plan Moffat had for series five if David Tennant had decided to stay on for another year. Finally, after a couple of all-too-brief teasers, we get a full trailer for the new season of DOCTOR WHO, starring Peter Capaldi and Jenna Coleman — but it’s still too short! So, now we know for sure we can look forward to the return of the Daleks, more dinosaurs (this time, not on a spaceship), some new foes and, of course, lots of explosions. But there apparently will be more than a little soul-searching by the Doctor, who wonders if he’s a good man and wants to atone for the mistakes he’s made. This definitely looks like the “darker” season with a more “dangerous” Doctor that we’ve been promised.